Dusty deep purple color. 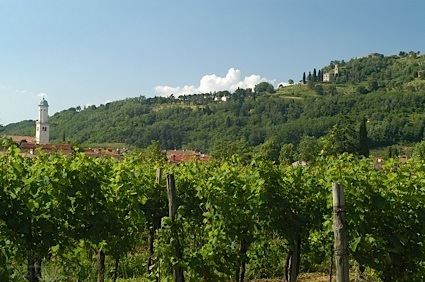 Aromas of dried plum, applewood smoked bacon, toast, and eucalyptus with a velvety, crisp, fruity medium body and a smooth, medium-length ripe berries, vanilla creme, beeswax, and licorice finish with moderate oak flavor. A rock solid Aussie red that will pair with most anything. Bottom Line: A rock solid Aussie red that will pair with most anything. 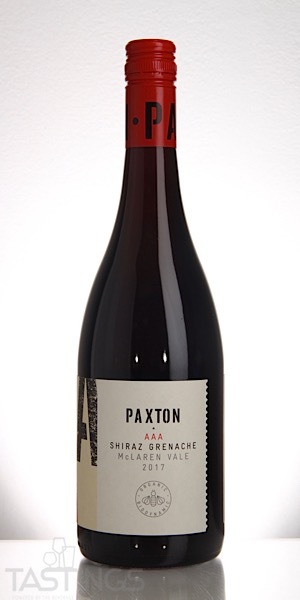 Paxton 2017 AAA, Shiraz-Grenache, McLaren Vale rating was calculated by tastings.com to be 89 points out of 100 on 11/2/2018. Please note that MSRP may have changed since the date of our review.